Comprised of three new models, featuring standmount and floorstanding designs, the contemporary styled Precision Series represents an exciting new entry point into Wilson Benesch’s loudspeaker lines. The Precision Series features the companies latest generation drive technologies. Midrange and bass Tactic-II drive units are taken directly from the same shelf as the multi-award-winning reference line 'Geometry Series'. Whilst the tweeter, features the Fibonacci Element derived from the companies flagship loudspeaker, Eminence in a soft-dome variant. Powering the reference system will be CH Precision’s critically acclaimed I1 Integrated Amplifier. The I1 will run both digital content and analogue content via its card-cage style input boards that make it a highly customisable and configurable component. 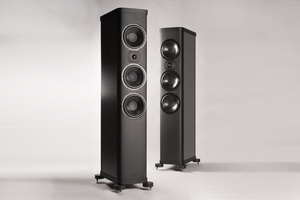 Wilson Benesch will demonstrate the analogue stage card and its switchable EQ-curves during the exhibit. With the Wilson Benesch P3.0 loudspeaker on the end, the I1-P3.0 combination will no doubt be a show highlight. The proverbial cherry on top will be provided by British cable designer Clearer Audio who will provide all power, speaker and interconnect cables for the system. Clearer Audio Co-owner and designer, Darren Smith will be in attendance throughout the exhibition introducing some new technologies within the Clearer Audio line.